Addison, Albert Christopher (1911). The Romantic Story of the Mayflower Pilgrims. 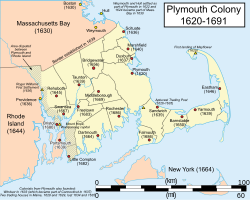 The Plymouth Colony Archive Project. Retrieved 2007-04-30. This page was last changed on 13 July 2018, at 08:19.